New media applications such as TripAdvisor, Facebook, Instagram, Yelp, and other evolving media platforms are impacting the decision making process in the hospitality industry in profound ways. These technologies are currently altering the very way that people search for hotels, experiences, and destinations. Subject search is the way we have all been searching online: you go to google and you type in ‘all-inclusive Caribbean island resorts’ and you see what comes up. The algorithm that determines what you see first is a result of the resort’s search engine optimization efforts, content marketing, social shares, website quality and mobile responsiveness, and even page load time. With subject search the results are not personalized to the potential guest. However, that’s where social search comes in. More likely than not, a decision will be made based on a friend’s recommendation, especially since studies show that 4 out of 5 consumers trust their friends and family members’ recommendations. That is one way that social search is being conducted. You can see social search happening more and more as potential guests research destinations on Instagram via hashtags, on twitter, or even typing in ‘Caribbean Resorts’ to the search bar on Facebook. 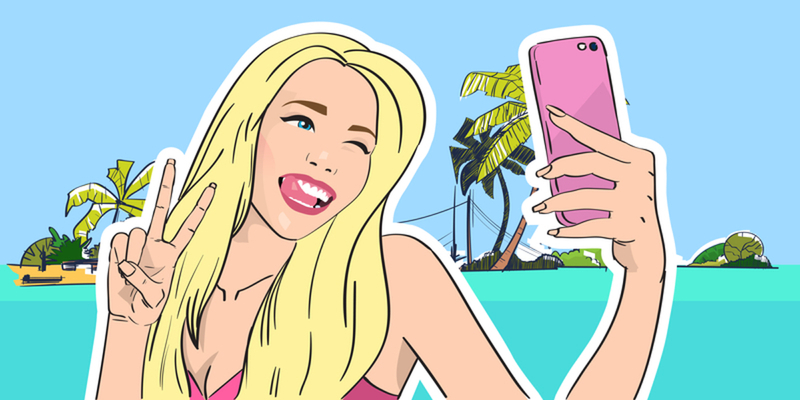 The advantages of this to the user are that they’ll see which of their friends, family, or favorite online influencers are connected to the destinations, resorts, restaurants, and experiences that they’re considering. What does this mean for you as a Caribbean hospitality business? It means that your presence on social media platforms is more important than ever since if you’re not on social media and not creating content that can be shared on social media, how are you going to be discovered via social search? You won’t be! 1. Since your website is still your point of sale, and traffic still needs to be directed there in order to achieve a direct booking, if you publish articles on Facebook Instant Articles, or share Instagram photos, be sure that there’s a link (in Instagram’s case place it in your profile) so that guests can easily reach your site in order to book. 2. Remember balance: You have different segments so don’t ever put all your digital eggs in one basket. Be present on social media for younger audiences who are currently using social search more than subject search but don’t neglect your other digital efforts: SEO, SEM, e-marketing, etc still matter. 3. Begin to strategize for when social search is utilized as much as google. What is your long-term plan for when 50% of searches are being conducted within an app? Start laying the groundwork for this future reality. Need help with your digital presence? Get in touch here or at hello@coralrange.com.